Back in November I made a batch of fruit mince after attending my first Christmas baking class with Sarah Brigden (babyCakes). This weekend I am finally using it, after letting it develop its flavours for over a month. As well as the usual fruit mince pies, I decided I wanted to try something a little bit different. 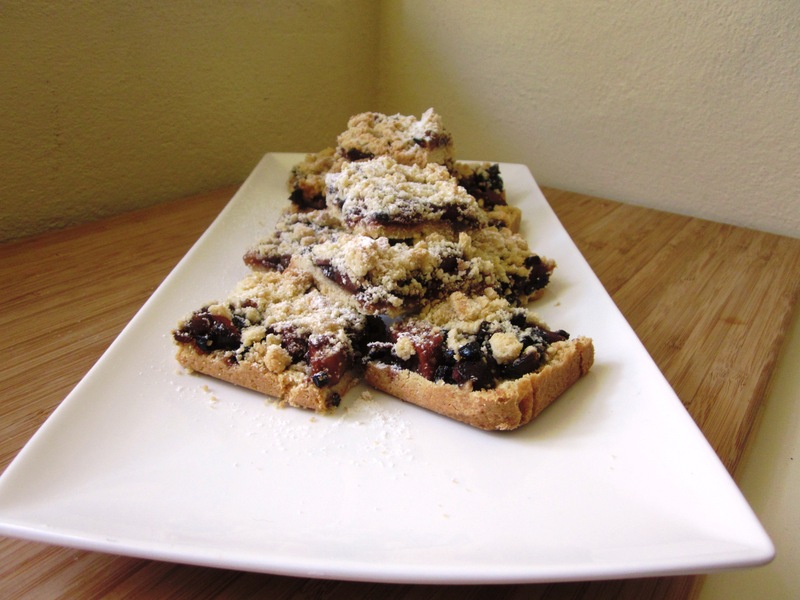 One of my favourite (and quite easy) recipes is raspberry crumble slice. It is incredibly moreish and also easily adapted. 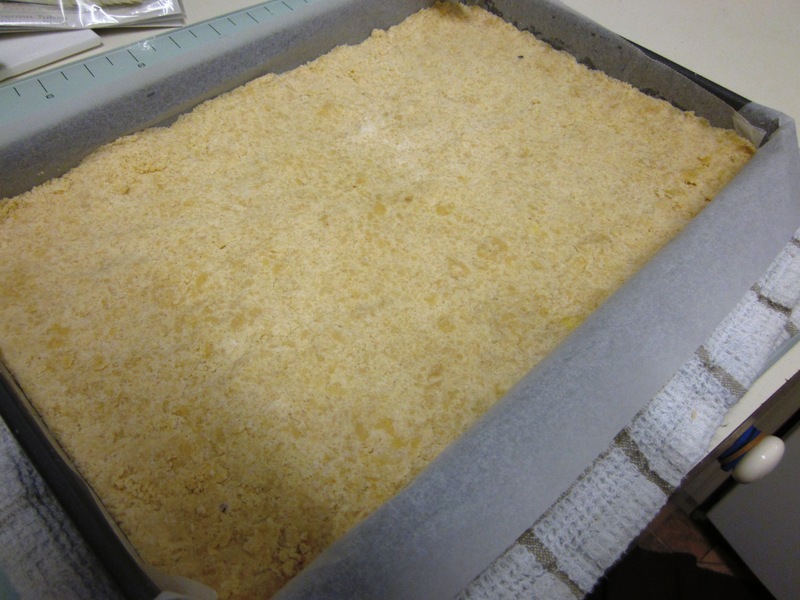 I’ve used the base recipe to experiment with other combinations including an apple crumble slice. 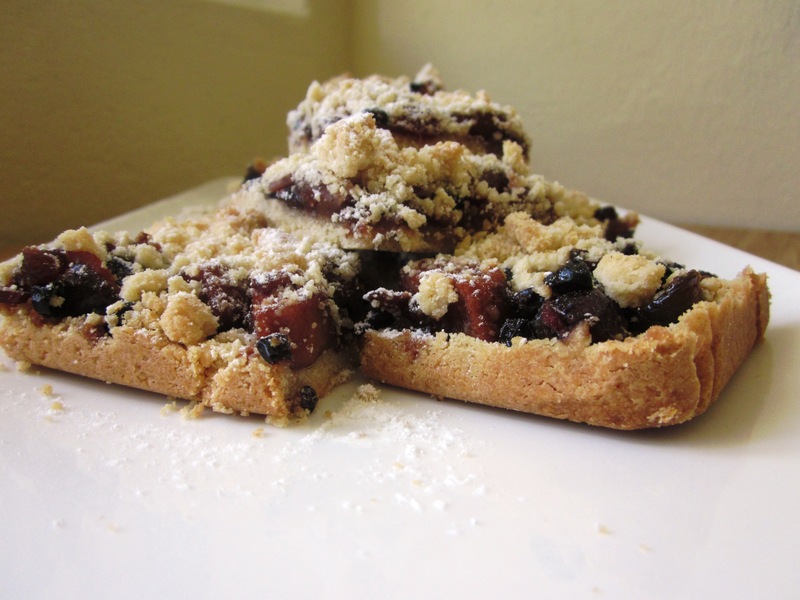 This weekend, I decided to use it as the base for a fruit mince crumble slice to take into work tomorrow. I also made fruit mince pies, using the cinnamon pastry recipe and baked them in patty pans, topped with pastry stars (cooks for 20 minutes in a 160C fan forced oven). 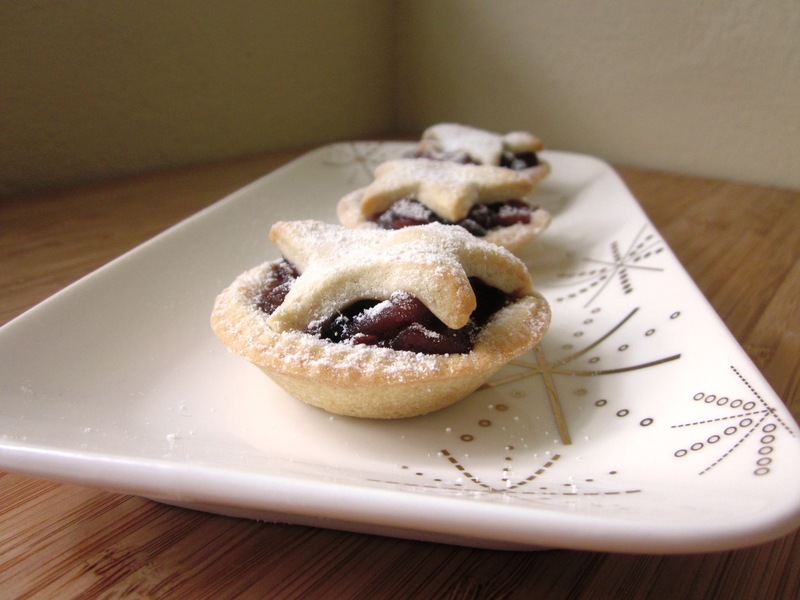 I’m not a huge fan of fruit mince, but I really like this recipe. I find the addition of apple cider gives it an extra flavour that I really like and the spices are just the flavours of Christmas. Preheat the oven to 160C fan forced (180C normal). Grease and line the base and sides of the slice pan (18cm x 28cm) with baking paper. In a medium sized bowl, beat together the butter and icing sugar with an electric beater until pale and creamy. You may wish to combine slightly with a spoon first, to avoid icing sugar flying everywhere! Once pale and creamy, sift in the flour, salt and cinnamon and add the ground almonds. 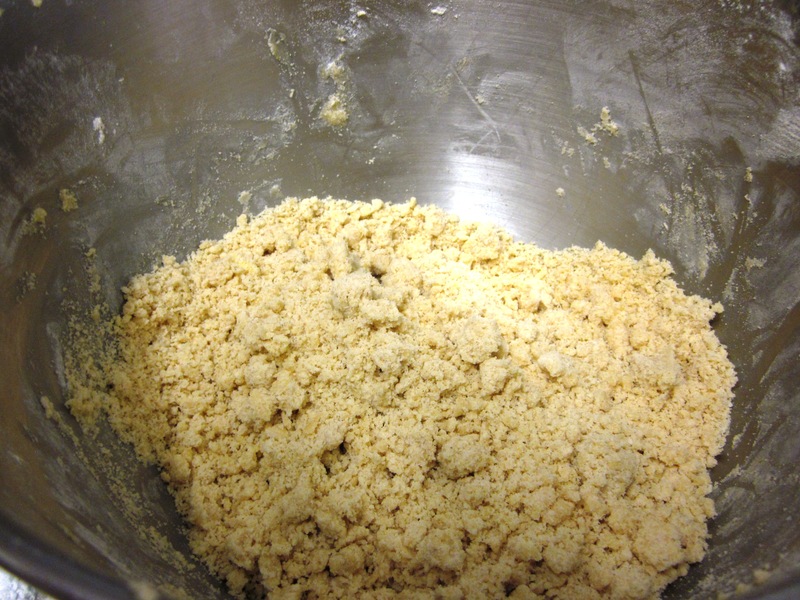 Stir the mix gently until it forms a crumble mixture (it is easiest to do this by hand). Keep one cup of the mixture for later and press the rest of the mix into the base of the prepared pan, either with your hands or the bottom of a glass. 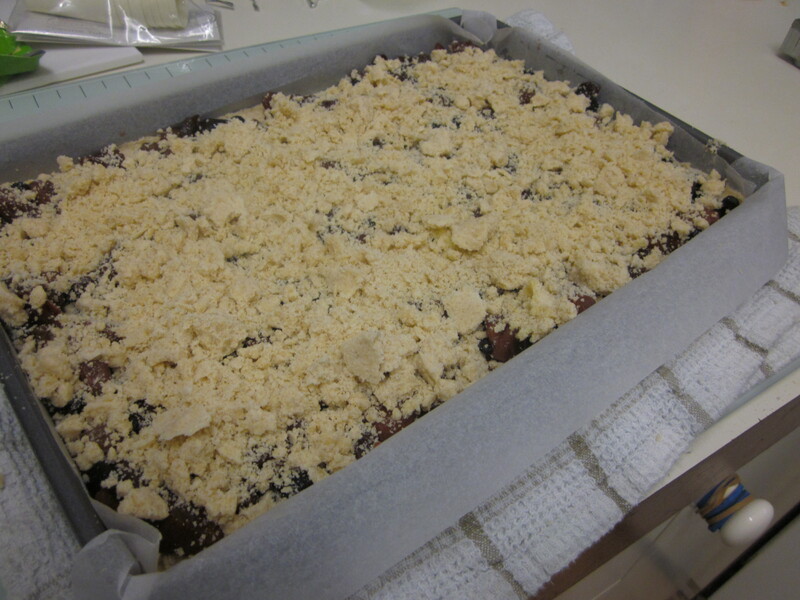 Top evenly with the fruit mince and sprinkle over the remaining cup of the crumble mix. Bake in the oven for 35 minutes or until pale golden. Remove and allow to cool in the pan for 10 minutes before removing. When cool, dust with icing sugar, cut and serve.